LEGAZPI CITY (Jan.23) – Bicol Criminal Investigation and Detection Group chief Sr. Supt. Arnold Ardiente confirmed that Daraga Mayor Carlwyn Baldo was admitted at UST Hospital here, 11:00 o’clock Tuesday night, hours after his arrest for violation of RA 10591(illegal possession of firarms and ammunitions and RA 9516 (illegal possession of explosives. Supt. Ardiente said that Baldo has breathing difficulty in his detention cell that resulted to asthma. The police official added that Baldo has also hypertension. 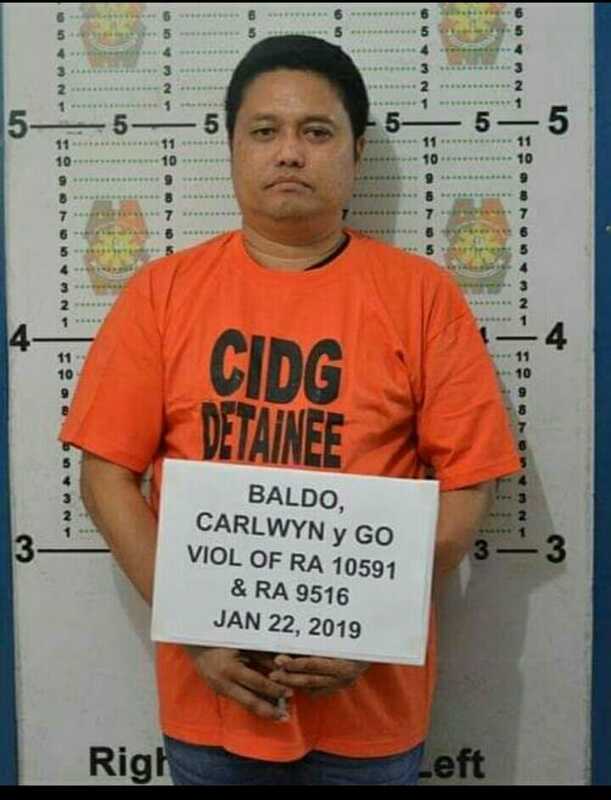 Baldo was placed under arrest and booked at the CIDG facility at Camp Gen. Simeon Ola after a composite team served a Search Warrant at Baldo’s compound at Lakandula Drive, Barangay Tagas, Daraga, Albay at 2:30 PM Tuesday on orders of Honorable Elmer M. Lanuzo, Executive Judge of the Regional Trial Court Legazpi for alleged illegal possession of firearms and for the recovery of a vehicle which the investigators believed was used by hitmen as getaway vehicle in the Batocabe-Diaz slay. Also recovered were one (1) calibre .45 pistol with TM Colt MKIV with SN 924173; one (1) calibre .45 pistol with TM Gov’t. Model Colt with SN 517381 loaded with one live ammo; one (1) magazine assymbly for Uzi Machine pistol load with seven (7) live ammos for cal.45; Ammunition for Grenade Launcher M203; eight (8) live ammos for cal. 45; and one (1) live ammunition for M16. Also recovered was one (1) White Isuzu Alterra with Plate Number BCW 941.